This survey gives travelers the opportunity to provide feedback on the facilities, food quality and their overall satisfaction with your lounge. There is also an opt-in for a newsletter signup. 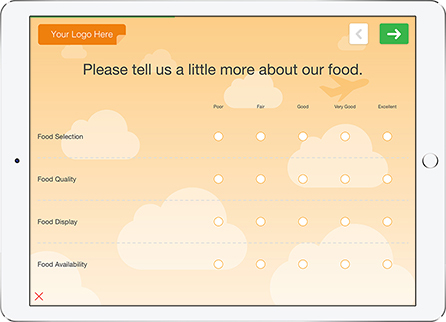 Looking for an airline customer satisfaction survey to gather feedback at your airport lounge? More and more carriers are focused on creating positive and memorable customer experiences with improvements to lounge services and amenities. Looking to improve the experience of your airport lounge for passengers? The first step is measuring satisfaction and gathering feedback to see how you can improve. 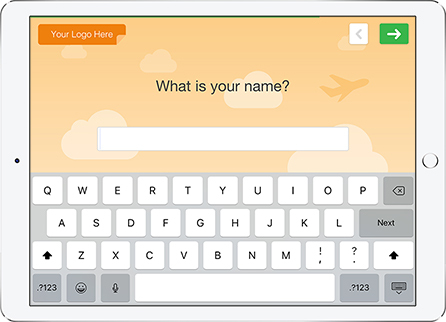 Forget a pencil and paper solution and try QuickTapSurvey’s fast and easy survey builder app to build and brand your own airport lounge experience survey. 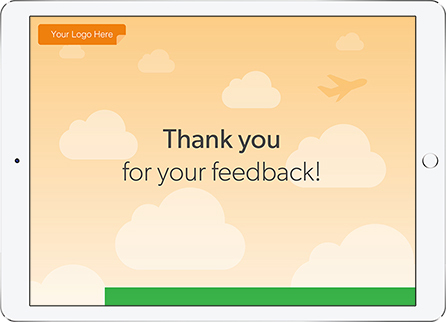 Start with this survey template or create your own survey from scratch and start collecting feedback in your airport lounge today. This template design is fully customizable with an Pro and Premium plan level. 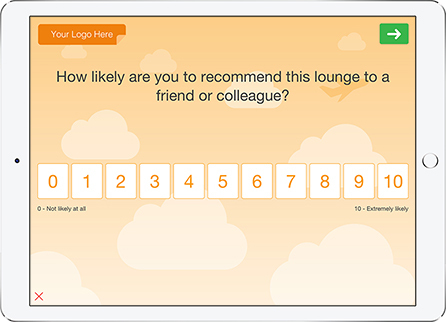 Add your own logo, background image and colours to ensure your airport lounge feedback survey matches your brand. Turn your tablet into a kiosk to collect data unattended in your lounge. 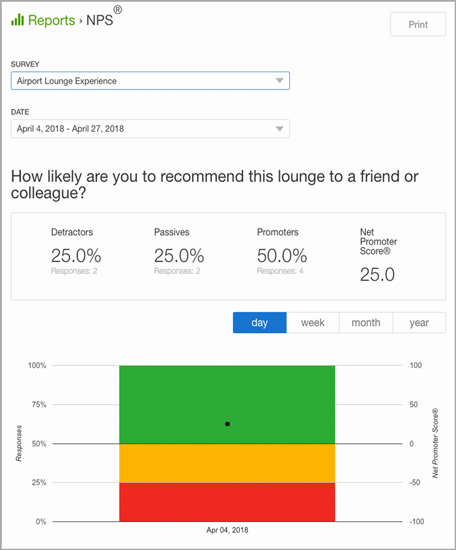 Turn your data into professional and shareable reports to gain insights into your customer feedback and take action to improve your lounge experience. 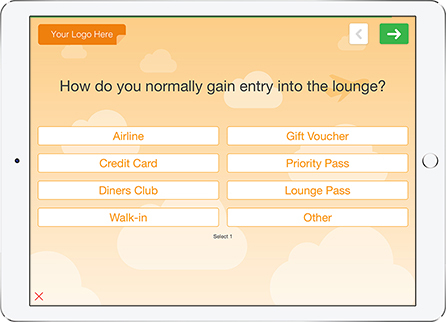 Based on the feedback your lounge guests have provided you can select which following questions to show them. 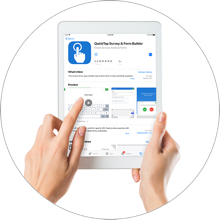 Sign up for QuickTapSurvey online and log into the web app on your desktop or laptop. 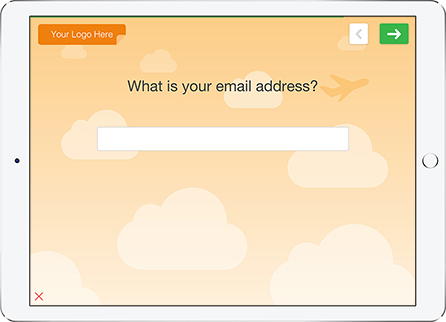 Create a new survey and select the Airport Lounge Experience template. 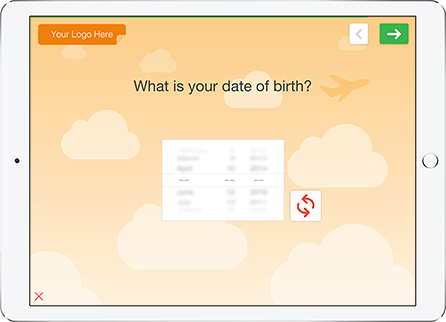 Customize your experience survey with our easy and fast survey builder. When you’re done, preview and publish your survey. 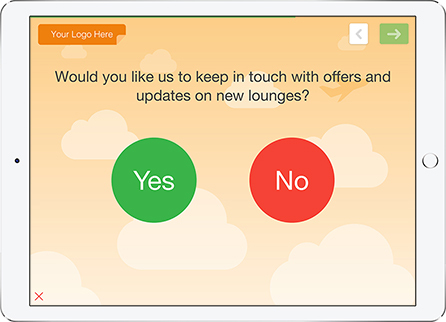 You’re good to start collecting feedback from customers in your lounge! 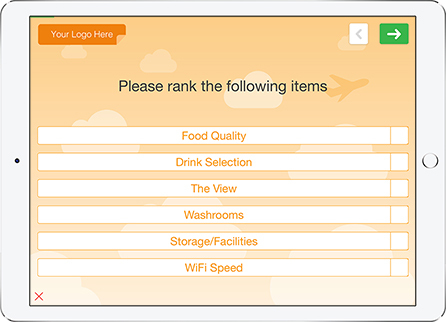 Check out your airport lounge experience survey on the QuickTapSurvey app with your tablet. 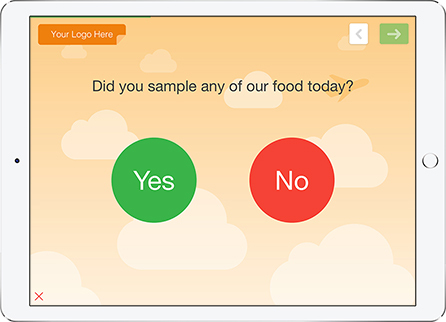 Collect feedback responses from lounge customers on your tablet - with or without and internet connection! You can house your tablet in a kiosk enclosure or simply set it up on a stand if you’d like to collect feedback unattended in your airport lounge. 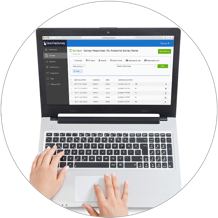 See your customer feedback results in one centralized location and download your responses in multiple formats for further analysis. 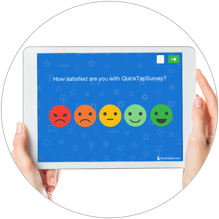 QuickTapSurvey makes it easy to view responses and take action on your data. See your results in one centralized location on the web app, and download your data in XLS or CSV format for further analysis. 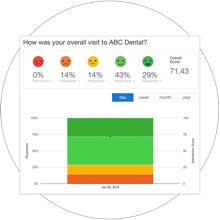 Effortlessly generate a variety of comprehensive reports, including an Analytics report, an Active Kiosk report, NPS reports, and Satisfaction reports. The Hourly NPS and Hourly Satisfaction reports show you your overall score or rating and the total number of responses collected by the hour. The Active Kiosk report enables you to remotely monitor the status of your kiosk surveys to ensure they are active, even when you aren’t on-site to monitor them in person. These reports allow you to analyze survey results in real-time by visualizing the data in pie charts, bar charts and tables. Export any of these professional reports in PDF format for sharing and analysis.